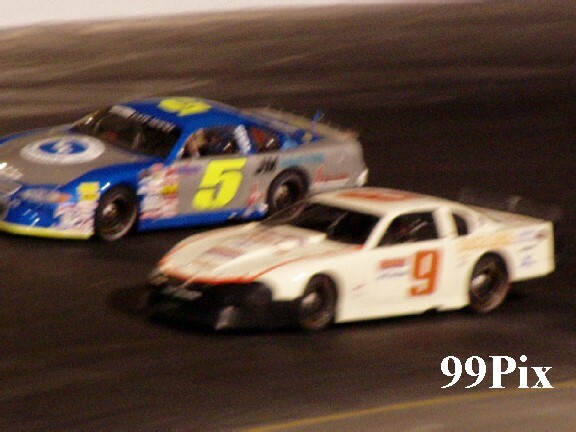 STOCKTON 99 SPEEDAY, SATURDAY, SEPT. 18 -- Nine has been Dave Byrd’s lucky number all season -- it’s the number painted on the side of the Western Late Model car that he has been wining mains, dashes and fast times with. 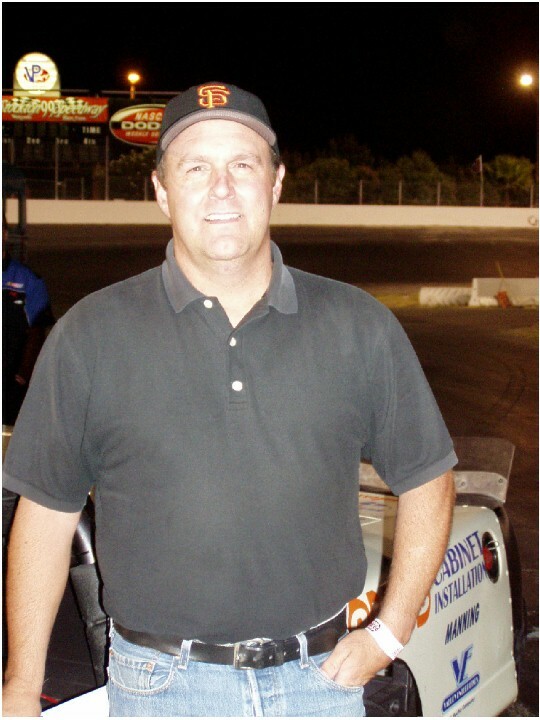 But Saturday night, 15 turned out to be his magic number, after wining the division championship, that’s how many short track championships the Pacific Grove driver tallied in over a quarter century of racing. “This team has done so well, and it has been a pleasure to be with them,” said Byrd following the win. “All the titles are special, but this one more so because it’s been a while since we won and it’s likely the last as a team.” Byrd has been driving for Gillit Motorsports all season, its owners announced that this was their last season. Byrd had a comfortable lead in the HAVOLINE/CL BRYANT Western Late Model division points race heading into the final NASCAR quarter-mile race of the season, he only needed a fast time, dash or main win to clinch it -- but it proved not to be that easy. 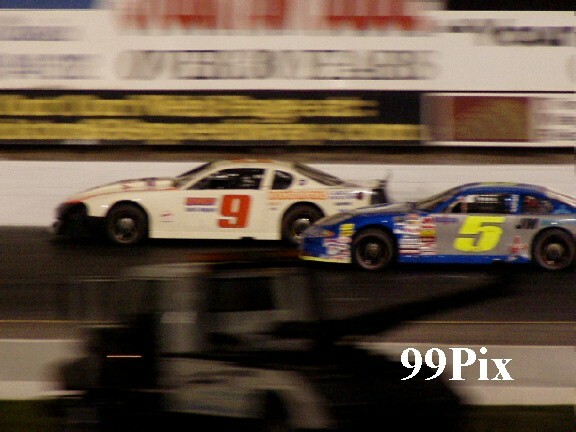 In the first points possibility of the night, Stockton driver Pete Anderson Jr., #5, qualified with the fast time, Byrd rounded the track at the second position. Then, Anderson Jr. took the dash en route to his main event win -- earning him a sweep for the evening. Byrd finished third in the dash and second in the main, but the places earned him a season total of 1,195 points -- 98 points ahead of second place finisher Anderson. Jr. 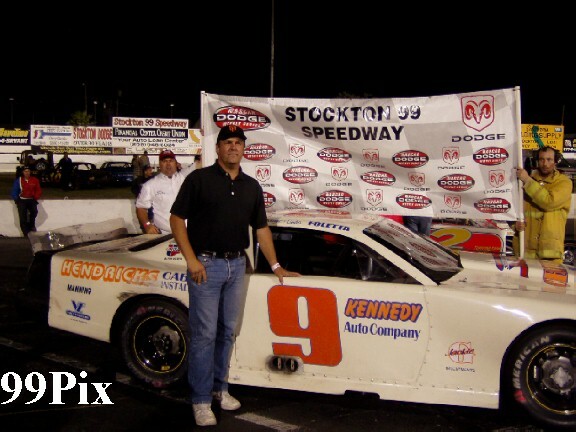 The title victory was Byrd’s third at Stockton 99 Speedway, his first was won in 1994, his second in 1996. 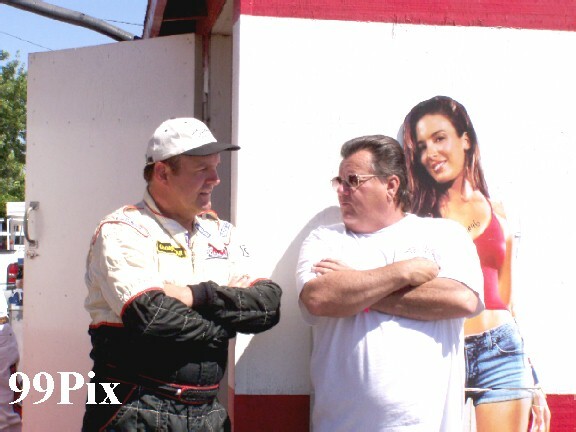 This season he won nine Western Late Model NASCAR main events. He’s been racing for 27 seasons, he said that he isn’t sure what he’ll do next season. 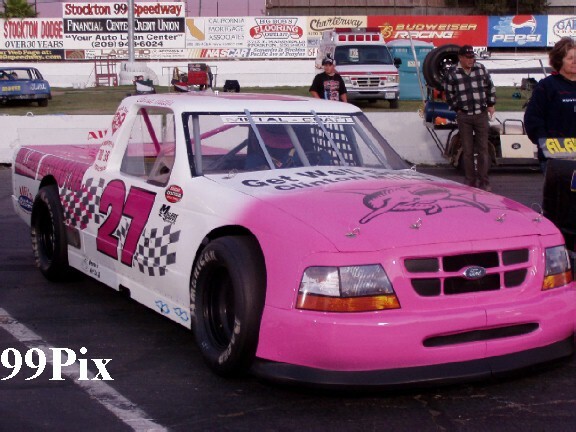 Saratoga’s Carrie Miller won the Pro-4 Trucks division championship, in the process she became the first women in NASCAR’s 57 year history to win back-to-back titles. Miller had been providing Stockton quarter-mile race fans with an exciting division points race all season. Up until last night, no one knew who, from week to week, would emerge as the front runner in the close race. But Miller, showed everyone that last season’s win was no fluke, and that she is one driver that can has to be taken seriously. 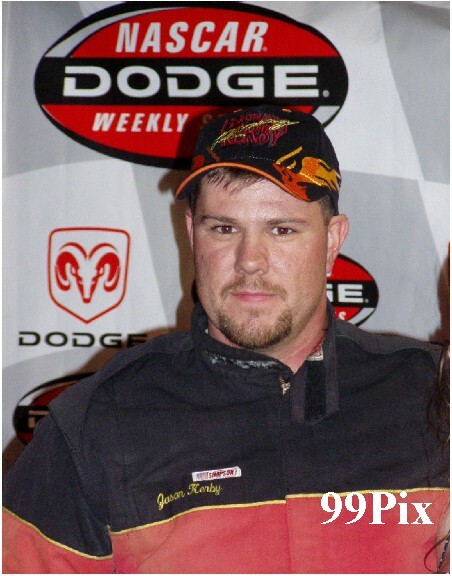 Galt’s Jason Kerby took the Grand American Modified division title. Kerby, Newark’s Ted Montague IV and Citrus Heights’ Jay Linstroth provided fans at NASCAR’s fasted quarter-mile oval west of the Mississippi with great, exciting racing all season long! 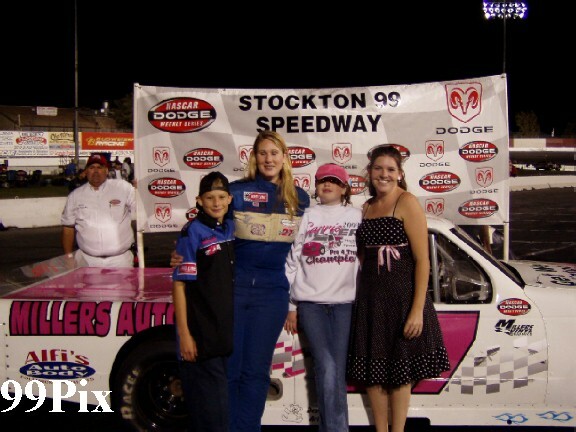 Saturday night concluded Stockton 99 Speedway’s 2004 regular division racing. 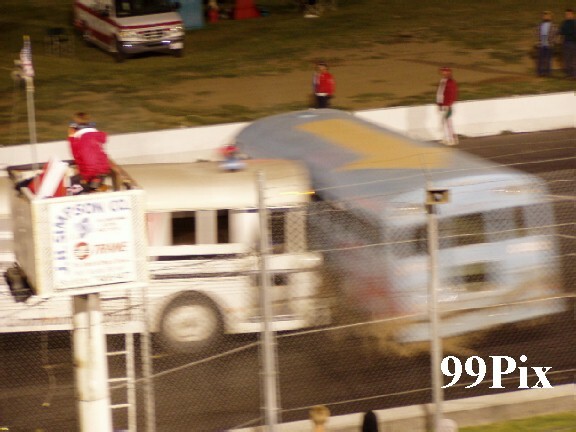 As part of the show, the track added its annual Powder Puff ladies only event and a school bus destruction derby to its venue. Linden’s Chrissy Allen won the Powder Puff race in a Pure Stock car and Willard Wayne of Stockton won the school bus demolition. In all, fans enjoyed another fantastic NASCAR racing season. Champions crowned included Byrd (Western Late Model), Byrd (Western Late Model Tri-Holiday 100 Classic), Kerby (Grand American Modified), Miller (Pro-4 Trucks), Galt’s John Medina (Pure Stock) and Stockton’s Danny Snow (Pure Stock B). San Lorenzo’s Mark Bailey took the Legends title. On Saturday, Sept. 25 HAVOLINE/CL BRYANT will present the second annual Western States Open Competition 100-lap race for late model stock cars (Western Late Model style). There will also be a Grand American Modified, Pure Stock and Pro-4 Trucks event. 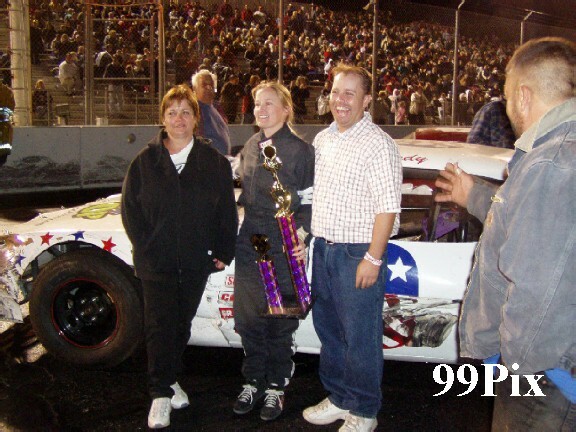 On Saturday, Nov. 6 Stockton 99 Speedway will honor its drivers during the annual awards banquet.